Gareth Southgate and Steve Holland plan their trip to the airport. "England’s defeat to Croatia in their last match was their 100th competitive defeat – each of their last six competitive defeats have been at major tournaments." Belgium are [1.68] in the Draw No Bet market. It's the game that no nation wants to play in and Belgium and England may well use the opportunity to give fringe players a taste of World Cup action. "England have been much better at getting off the mark early. They netted after 11 minutes against Tunisia, after just eight v Panama, after 30 against Sweden and after only five minutes against Croatia." Read Dave Tindall's Belgium v England preview and betting tips here. The dream is over. Football is not coming home after all, seeming intent to instead continue the global tour it's been on since 1966. When you get to within 22 minutes of reaching the World Cup final, it's bound to be painful to taste defeat, but England can be proud of their campaign, having reached a stage of the tournament that few would have predicted. With both the U17 and U20 teams being the reigning world champions at their age level, there is optimism about the talent coming through to improve what is an already young side. 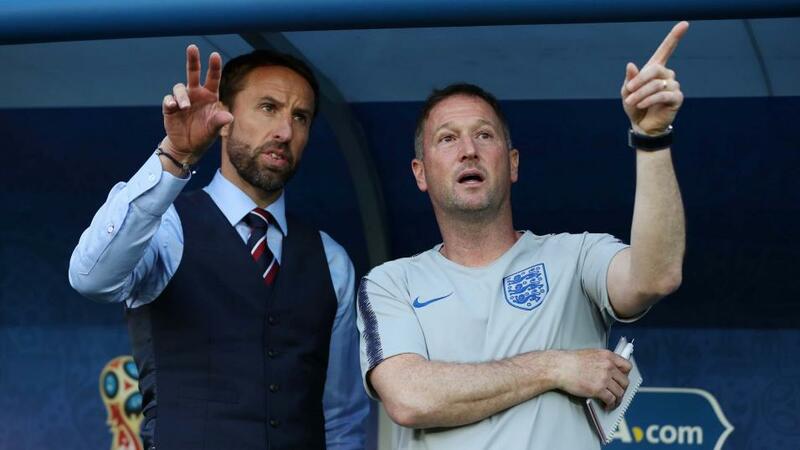 This could be the start of something, rather than the end and rather than wait two years for their next true competitive test, England will have the chance of gaining revenge over Croatia before the year is out, as they meet their semi-final conquerers, along with Spain, in the Europa Nations League. Most importantly, the nation has fallen back in love with the England team. At a time when the country is divided about everything else, it's good that everyone can agree that this exit from Europe is a sad event. Having gone into the tournament as the fourth favourites behind Spain, Germany and Brazil, it's no surprise to see that France are rated as the heavy favourites at [1.48] to win the World Cup. Yet in a tournament that has been defined by shock results, Croatia are live outsiders at [3.05]. They have shown amazing resolve to reach the final, with Croatia having been behind in each of their knockout stage games. They won't go down without another fight. England's defeat to Croatia in their last match was their 100th competitive defeat - each of their last six competitive defeats have been at major tournaments (five at the World Cup, one at the European Championships). It looks as if Harry Kane will be going home with the Golden Boot. He has six goals and you just know that he will insist on playing against Belgium today to try to add to that tally, despite looking ready for a good lie down during his tired performance against Croatia. Kane is the [1.08] favourite. The most realistic challenger is Romelu Lukaku at [20.0], who could go level if he grabs a brace. It would take a hat-trick for either Antoine Griezmann or Kylian Mbappe to get back into contention and they are both rated at [75.0]. The award for the tournament's best player now appears to be a two horse race and the winner will probably be decided by the result of the World Cup final. Mbappe is the favourite at [2.12], ahead of Luka Modric at [2.94]. Outsiders include Griezmann at [14.5], N'golo Kante at [20.0] and Paul Pogba at [29.0], but they would have do something dramatic in the final to claim victory. We have good news. It's safe to turn the TV back on, as the incredibly boring Wimbledon semi-final between Kevin Anderson and John Isner has finally finished. They might have been on court for over six hours, but it was arguably more gruelling for the dedicated few that sat and watched the whole game from their sofa. Wimbledon should be more entertaining today, as the women's final between Serena Williams and Angelique Kerber takes place, alongside the conclusion to the men's semi-final involving Novak Djokovic and Rafa Nadal. Our crack team of tennis tipsters are on hand with all the best Wimbledon betting advice and insight.